I’m glad these blog posts were prepared before departure. The internet is both expensive and slower than dial-up!! After parting from our new friends at Estagel B&B, we arrived at Guissan to meet the owner of the appartment we are staying in for a week. He had carefully written out translations on a piece of paper such as ‘follow me’. If we tried to divert from his limited translations he got very flustered. We, of course, are very used to playing French charades and managed to get out point across as usual. We have extended our French vocab no end. Now we can say ‘Fromage’ (cheese), and many other useful words. We need to learn how to say ‘We are lost please help us’, although most of the time we can’t define where it is that we are going to. Most likely the questions would be ‘Where did we park our car?’ or ‘where is our accommodation, which we cannot remember the name of or pronounce properly?’. 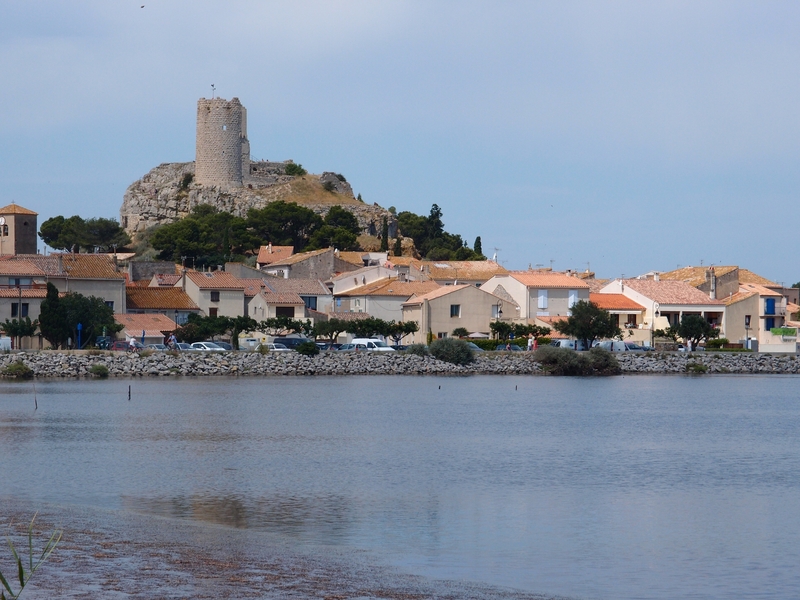 Gruissan is where we hit the wall. The first morning I woke up at 10am which is the latest I’ve ever woken up in my life!! After spending 2 weeks climbing mountains to the castles on top, walking up stairs and hills all day in the hot sun, we hit our beach side accommodation, where we are staying for a week and passed out. Sitting on the beach and walking on flat ground is just what the doctor ordered for this stage of our journey. Last night we were strolling along the beach at about 8.30pm, when we discovered a French rock band playing. They were wonderful and played The Easybeats, The Who, Jimi Hendrix, Rolling stones. They had the English accent and pronunciations almost perfected. Col was in his element. We were the only ones who knew the words and called out ‘Aussie Aussie Aussie’ after the Easy beats… (like a couple of deadbeats!). The band played until midnight non-stop and our weary bones were even wearier at the end… which is why I slept until 10am this morning. 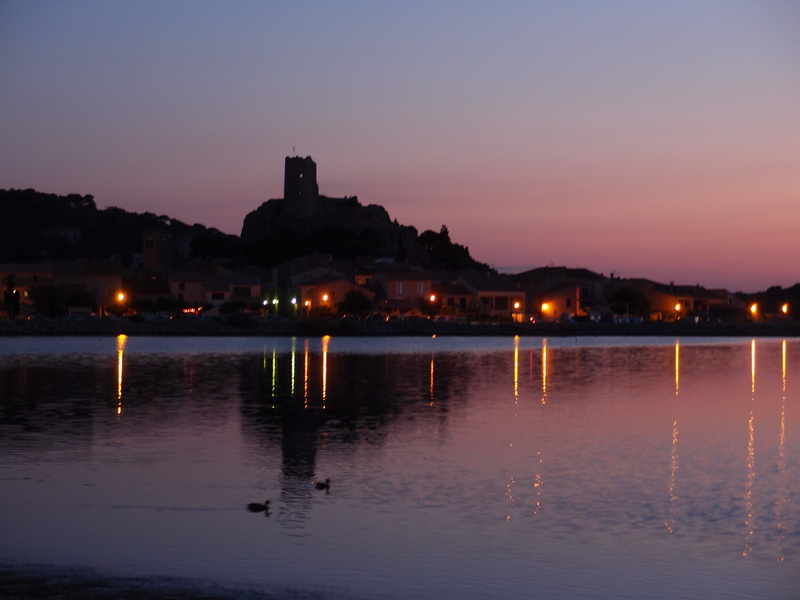 Our list of places to visit this week are Agde (2nd oldest village in France), Carcassonne, Narbonne and Beziers with about 6 other small villages thrown in if we have the energy. Right now I’m planning a day on the beach…my favourite place on Earth. The internet access remains a problem as the Careforre mobile card I bought in Spain doesn’t work in France. Stooged!